Brigid is one of the most popular Goddesses with pagans of the 21st century. The Celtic Goddess of poetry, the forge and healing is frequently honoured at Imbolc at the start of February. Although many people think of her as primarily being an ancient Irish Goddess, she was probably worshipped in other parts of the British Isles too. Some tales link her with Brigantia, the Goddess of the Brigantes, a Celtic tribe of northern England. Was she honoured in London in the past too? This year, one of my resolutions is to do blog posts about the Gods and Goddesses of London. So, can Brigid be considered one of them? 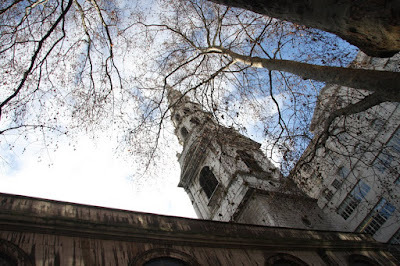 Well, many modern pagans consider St Bride's Church, in Fleet Street, to be sacred to the Goddess as well as the Christian Saint, St Bride or St Brigit. Although the current building was constructed in 1672 by Sir Christopher Wren after the Great Fire of London, it is on the site of an earlier church said to have been founded by St Bridget of Kildare, from Ireland, in the 6th or 7th century. St Bridget is often associated with the earlier Pagan Goddess. Both the saint and the Goddess are linked to wells. There is the famous one in Kildare, but London's St Bride's Church is also thought to have once had a holy well, which may have been venerated as a pagan sacred spring. It could still be there underground, although if so there is no public access. 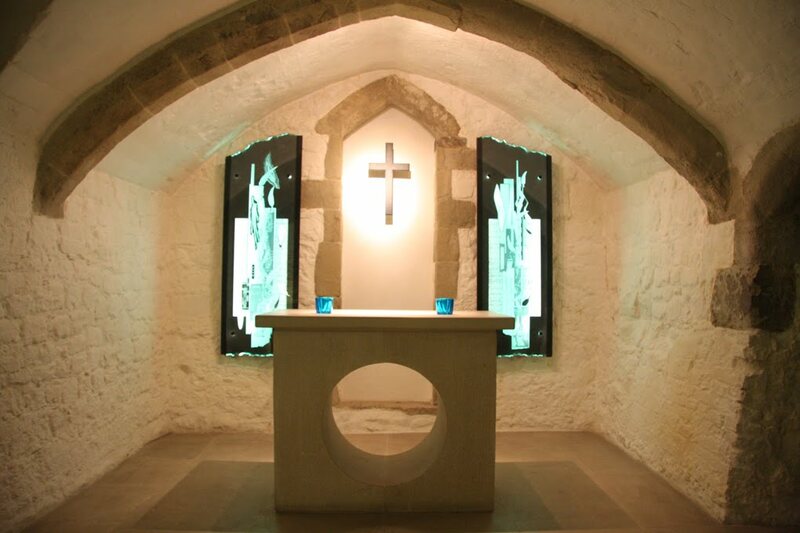 The church is on the St Paul's ley line and you can read a post I wrote about a ley line pilgrimage to Bride's Well. Another London site linked to St Brigit and the Goddess Brigid is Trent Park, in Barnet, north east London. According to the book London's Camelot and the Secrets of the Grail, by Chris Street, various people have claimed to have seen a vision of a lady in white at an ancient well in the park, which is now just a muddy pool. Some say she is a grail maiden, others say she is the Goddess Brigid. Also, there is currently an exhibition on in London called St Brigid’s Day. It displays women's art relating to folk customs and traditions for this time of year. It is at Europe House, 32 Smith Square, London SW1P 3EU until February 1. You can find details here. An excellent book about Brigid, which I have earlier reviewed on my blog, is Pagan Portals - Brigid: The Celtic Goddess by Morgan Daimler. The pictures show views of St Bride's Church.